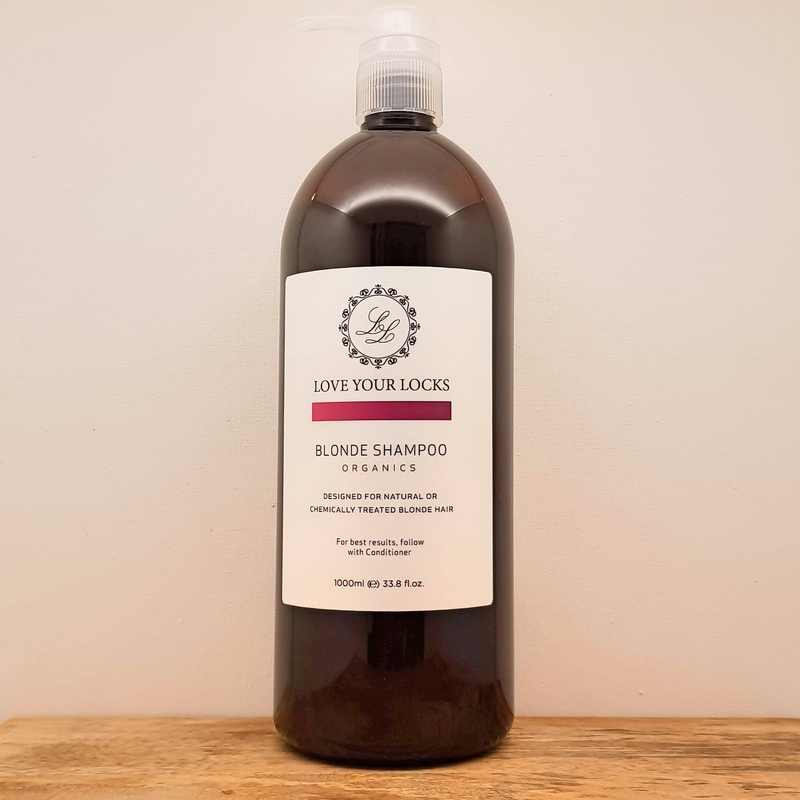 Love Your Locks Organics Blonde Shampoo utilises a special dye to beautifully tone hair, this perfect shampoo cleanses and brightens blonde hair like never before. A sulfate and paraben free blonde shampoo to keep blonde beautiful and brass-free in-between salon visits. Bring strength, shine and elasticity back into the hair with added keratin, Brazil Nut Protein and Mica Pearl White with this stunning shampoo. We Recommend our Blonde Shampoo for our customers with coloured blonde hair. For Best Results use with our Repair Mask and Moisture Conditioner. INGREDIENTS Aqua, Sodium Cocoyl Isethionate, Cocamidopropyl Betaine, Sodium Lauryl Sarcosinate, Disodium Lauryl Sulphoacetate, PEG-150 Pentaerythrityl Tetrastearate, Olea Europaea (Olive) Oil, Sodium chloride, Guar Hydroxypropyl Trimonium Chloride, PEG-40 Hydrogenated Castor Oil, PEG-7 Glycerylcocoate, Propylene Glycol (&) Diazolidinyl Urea (&) Iodopropynyl Butylcarbomate, Mica, Polyquaternium-7, D-Panthenol, Acid Violet No.43 (CI. 60730), Hydrolised Keratin*, Argania Spinosa kernel Oil*, Macadamia Ternifolia Seed Oil*, Citric Acid, Tetra-Sodium EDTA, Benzyl Salicylate, Butylphenyl Methylpropional, Citronellol, Coumarin, Hexyl Cinnamal, Limonene, Linalool. * Certified Organic Ingredients. Product formulated and packaged in Australia. All of our hair care products are produced free from sulfates, parabens, ethoxylates, paragons, propylene glycol, petrochemical cleansers, silicones, phthalates, DEA and artificial colours. Products not tested on animals.